Looking to buy a premium WordPress theme but don’t want to spend too much money? If you need a high quality, good looking and cheap premium theme, this list will help you. We’ve a compiled a list of WordPress theme shops and marketplaces that sell high quality premium WordPress themes at very reasonable prices. WordPress users are spoiled for choice when it comes to themes. 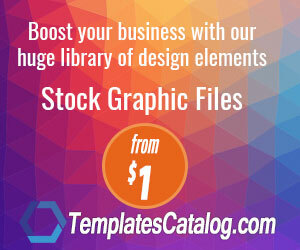 There are thousands of high quality premium (commercial) themes available these days. Most premium WordPress themes cost less than $100, which is actually very cheap for what you’re getting. On the other hand if you don’t want to spend any money at all there are plenty of free themes available in the WordPress Free Themes Directory (more than 2,000 of them in fact). Some of the free themes available on WordPress.org are actually very good. If however you don’t want your website to look like thousands of other sites using the same popular free WordPress themes, and you don’t have the time or skills to customize a theme, spending a bit of money on a premium theme can be a good option to set your site apart and look more unique. There are lots of other good reasons for going premium. These of the reasons include: the superior quality, the extra functionality, the security and peace of mind, regular updates and of course the support. In many ways a premium theme is like buying a custom made theme from a professional web design agency but at a fraction of the cost. There are lots of benefits in buying a premium WordPress theme and it doesn’t need to cost a lot of money. Below are 10 premium theme shops and marketplaces where you can buy a quality premium WordPress theme for less than $60. Theme Forest is the largest market place for premium WordPress themes with more than 6,000 premium themes to choose from. Prices typically range from $48 – $68 per theme. They have designs available for almost any type of website you can image, from the usual multipurpose blog, magazine and business themes to the more specialized niche application themes. MyThemeShop has one of the largest collections of premium WordPress themes around. As of December 2015 they have 99 WordPress themes in their catalogue catering for all sorts of websites. They offer lots of multipurpose themes for online magazines and blogs, business websites, and ecommerce stores. They also have niche themes for app showscase websites, churches, schools, gyms, authors and speakers, architects, and others. A single theme costs $59, while a membership costs only $139 and gives you access to all 99+ WordPress themes. Go to MyThemeShop. Tesla Themes have a wide range of modern and high quality premium WordPress themes for all sorts of niches. They have themes for blogging, ecommerce (WooCommerce), photography and portfolios, magazines, and business. They have themes specifically designed for food, medical, travel, events, gaming, music, restaurants, weddings, real estate, hotels, fitness clubs, churches, musicians, lawyers and more. A single theme costs $48, or you can get access to their entire catalogue of 50+ WordPress themes for $58, which is incredible value for money. Go to Tesla Themes.